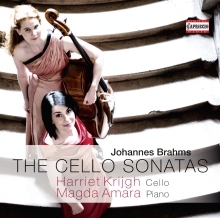 After the first album with french cello music and the very successful recording of the Haydn Cello Concertos the young cellist Harriet Krijgh continues now with the pearls of german-romantic cello literatur: the recording of boht cello sonatas by Johannes Brahms. ‘I used to play the fiddle myself’, Johannes Brahms once told his Viennese composer colleague Richard Heuberger, ‘but my instrument was the cello. I played concerts on it’. 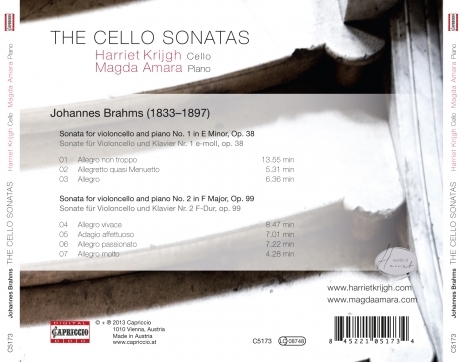 That Brahms’ two cello sonatas were ‘miraculous pearls of chamber music’, as a critic wrote in the Neue Berliner Musikalische Zeitung in 1873, was sadly not recognized by all contemporaries at once. Some listeners were simply floored by the dense texture of the compositions. 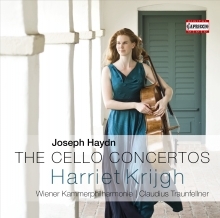 But a short time later, they were to establish themselves everywhere and have ranked among the outstanding works in the cello repertoire up to today.